Times are hard for everyone. We in the Old Catholic Church International understand the struggles many people face everyday to make ends meet. We also know that without your generous donations, the work of our church will not be able to continue. 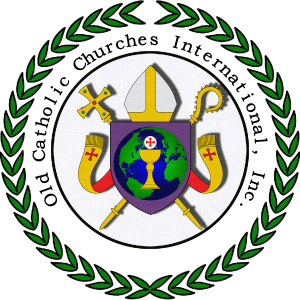 Donations to our church go to help the ministries and parishes in the Old Catholic Church International to continue working in the communities they are based in. When possible, we use these donations to help those in need as well. If you would like to help keep this ministry running, we ask that you press the DONATE button below and make a SECURE contribution of any amount . Your receipt may be used for tax purposes. We are grateful for all you can do to help us make visible the Kingdom of God! “But I say to you,” the Lord says, “love your enemies, do good to those who hate you, pray for those who persecute you.” Why did he command these things? So that he might free you from hatred, sadness, anger and grudges, and might grant you the greatest possession of all, perfect love, which is impossible to possess except by the one who loves all equally in imitation of God.